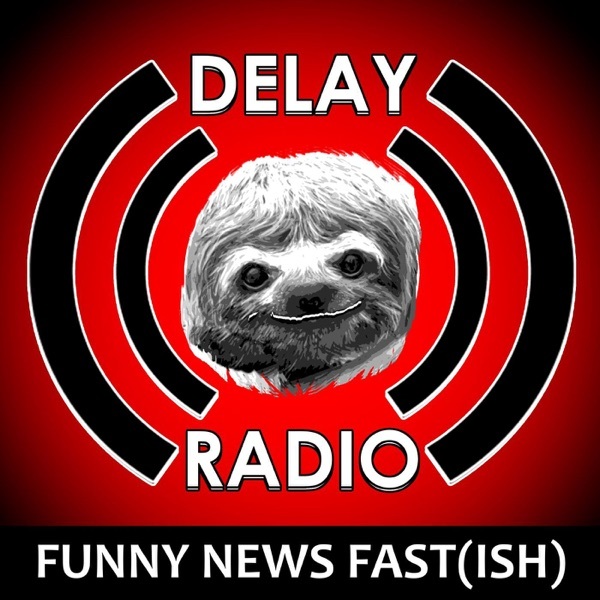 On this week's episode of Delay Radio, we have special guest, only known by his intimate circle of friends as Protor - he had the right to remain silent apparently, so he did...well for the most part. D starts off with his 'juicy' story in a batman voice (only part of the time). The ultimate level of irony plays out. So a man has been arrested with gun posession charges, but the irony is that he has a tattoo of a pistol on his head. He has a felony conviction on his record, so he cannot own a gun. On top of that, he was driving his Toyota Camry (without all season tires) and slammed it into a pole. So he's pretty classy as you can imagine. Why would you bust a guy like this? After talking about the guy who crashed his Camry, Jethrow finds a question from 'Mike Nasty' on Reddit. How do you deal with a person who interrupts peoples' stories to tell their own? Well, you could push them down some stairs, get up and leave (thank you Protor), you could spray it with a spray bottle like a wet dog. The best answer that Jethrow could find is - trick them. Apparently, you can start telling them one of their stories, so they get mixed up - well we think we got that right. Honch would rather punch him in the mouth. After getting off topic, Honch tells us about the worst stuff that has fallen from the sky, including a meteorite that fell and hit a woman. We repeat, a meteor came from space, entered the atmosphere and then hit a woman. There was a plane that dropped Vampire fish from the sky - and a plan that had blood drop from the sky. As it turns out, most of these things come from plane cargo. I guess be careful how you pack your carryon. Also, did you know that optimus prime was French? After talking for several minute about flying on planes, Jethrow goes on to talk about peanut M&M's ice cream. That flavor doesn't already exist? They have ice cream for Snickers! !